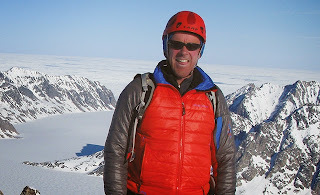 Mountaineer Simon Yates brings his extraordinary stories to Darlington Civic Theatre on Wednesday 3 June. On a remote mountain in Peru in June 1985 mountaineer Simon Yates found himself in an unenviable position. He was slowly being dragged off the mountain face by his injured partner – Joe Simpson – dangling on the rope far below. His decision to cut the rope saved both their lives in the epic trial of survival that followed. With the publication of the book ‘Touching The Void’ and the film of the same name, both climbers became household names. Come along and witness Simon’s tireless journey from that mountain in Peru to some of the remotest on the planet and share with him the drama, excitement and beauty of modern mountaineering. Told with wit, dry humour and lavishly illustrated with images and video collected on his great climbs, Simon both entertains and inspires. Simon Yates is at Darlington Civic Theatre on Wednesday 3 June. Tickets* are priced £18 and £16.